I was using OneNote a moment ago and I had noticed my new Windows 10 January Technical Preview has finished all updates after install and wants to reboot. So I finished my work, saved everything that needed to be saved and I restarted the machine. 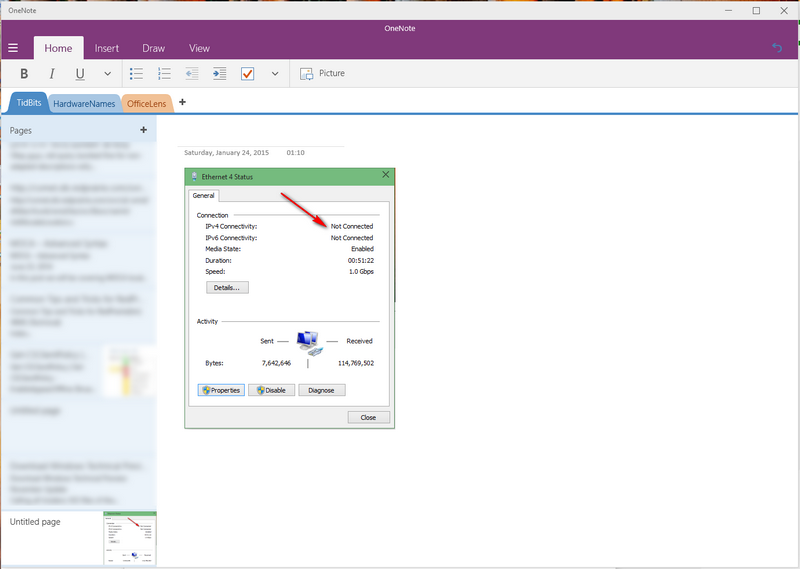 You can imagine my joy when I rebooted and reloaded OneNote and I was greeted with the screenshot above. The new OneNote is Live in the Store! I quickly ran to the Store to see if other Office Touch are live, unfortunately, I couldn’t find Word, Excel and Powerpoint Touch. I am suspecting we may have them in the Store this weekend. Lets keep our fingers crossed. 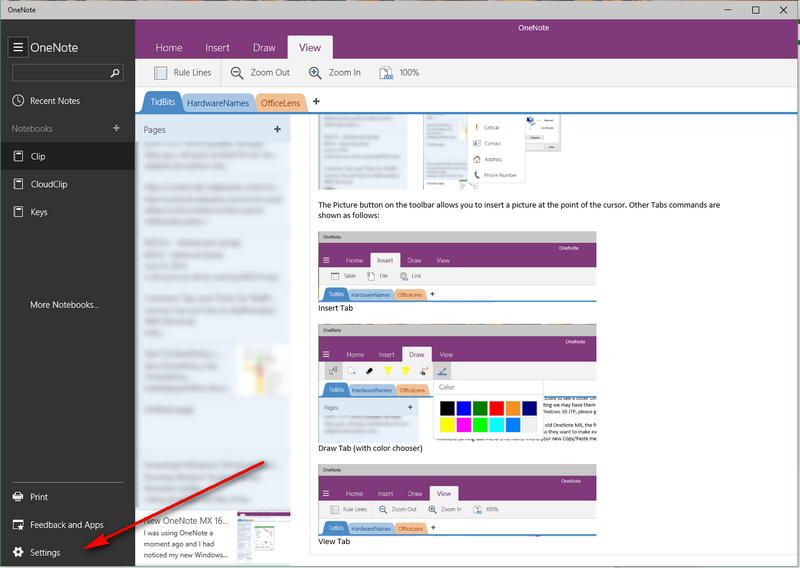 For you OneNote fans out there with Windows 10 JTP, please go ahead and download the update. Notice the place of the Settings button as indicated by the big arrow?! This is divergent from the standard Windows 10 Settings selection is always on the Titlebar. 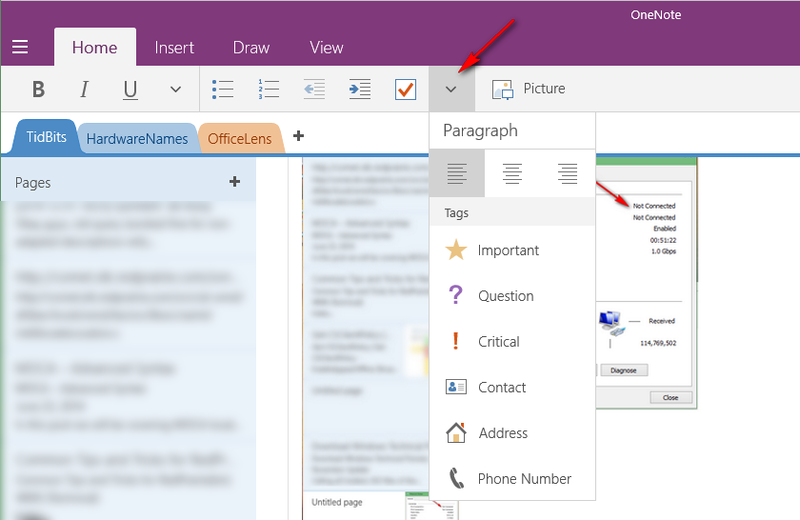 Microsoft Office 16 Touch there will not look like other Metro Apps. There is no Hamburger button for them on the Titlebar! I hope this will not launch a mess for the Store Apps and Devs may also go MS route. Lets see how this pans out. This is a quick draft to inform of this breaking news. Check back for any updates as we discover more about Office 16 Touch and Windows 10 TJP. Previous Previous post: Watch Windows 10 The Next Chapter Event Live!